Most furnaces are quite reliable but from time to time a furnace will break down. 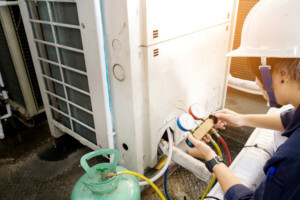 This is the reason why you have to make sure that you have the phone number of a good furnace repair Company in Fort Worth like Lightfoot Mechanical with you at all times. There are many companies and so you have to make sure that the company you select is one that has been selected with utmost care. 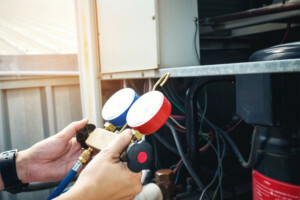 Lightfoot Mechanical Furnace repair Fort Worth is one of the best companies that is not only reliable but also offers the best services. We offer our services on a 24 hour basis and so you can call us any time of the day or night. We are not going to charge you an extra cent to matter the time of day or night you call us. We have some of the most affordable quotes and so we guarantee you that you are going to save a lot. Our heating services are some of the fast services you can ever get in Fort Worth. We are going to take the time to make sure that the issue is resolved in the fastest possible time. In just a matter of minutes you are going to get back to your work. We are also going to make sure that you are treated with respect. This is because our technicians are very professional and they are always going to make sure that they do not do anything that is not under their job description. This is something that you are not going to get from most of the other Furnace repair e service providers. All the people who have ever made the decision to come to us have never been disappointed with our work. You can get to see this from the many wonderful reviews that we have received over the years. We are truly a repair company with a difference and you can be sure that you are going to notice the difference when you make the choice to come to us. The fact that we are very easy to reach is another very wonderful advantage of coming to us. When you make a call to us, you can be sure that there will be someone to answer your call. There is not a single call that you make to us that is ever going to go unanswered. So pick up that phone and make a call to Lightfoot Mechanical heating and cooling. You can be sure that this is the best decision you will have ever made.